This pair of mod mirrors will give any bathroom or bedroom an instant update. So sleek in gold, they will look great on a vanity, dresser or wherever you need a quick check. 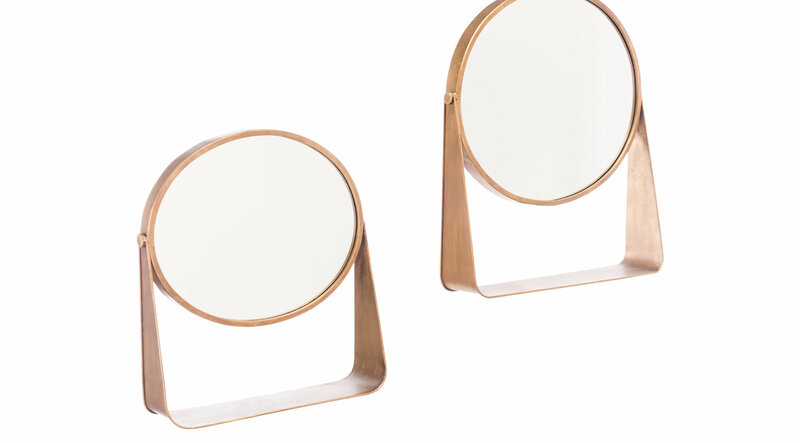 Mirrors swivel in their stand to adjust their angle.